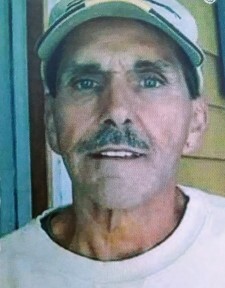 Windham, ME - Joseph F. Boucher Sr. passed away after a short illness from natural causes at home. His passing is a great loss for us all, as his laughter and joking will be missed very much. Joe had a love for racing, probably right out the gate from the time he was born. He always had a love for and loved being at the races. Whether it be just watching, watching his brother Willie race and working on his race car and being in the pit. He also enjoyed watching racing on TV and his Super Bowl was the Daytona 500, he enjoyed watching racing and being at the races with his entire family. I never knew a man who could take an engine apart with their eyes closed and put it back together better than or faster than Joe could. He was predeceased by his mother Janet Brown his stepdad Richard Brown Sr, his father Justin David Boucher Sr. his brother’s David Boucher, Daniel Boucher and Michael Boucher; as well as his sister Susan Ware and Bonnie Edwards, as well as his nephew Joel Edwards. He is survived by his three son’s whom were his shining lights and whom he was very proud of; Joseph F Boucher Jr of Windham, and his mother Terri Goodine, Derrick Daniel Kennedy of Waterboro and his mother Anna Kennedy and Brandon Bowie of South Portland and his mother Marjorie Bowie (whom also was predeceased). He is also survived by his brothers William Boucher of Windham, Robert Boucher and wife Paula of Windham, and Richard Brown Jr. of Windham, his sisters Betsy Boucher of Westbrook and Phylllis Wilde’s of Portland. He also has many nieces and nephews and great nieces and nephews who love him very much he will be sadly missed. There will be a celebration of his life on Tuesday October 23, 2018 at Bubba’s Sulky , 92 Portland Street, Portland from 1 – 4 p.m. all are welcome.